Last year I found out a very large, very dangerous fibroid was pressing on one of my iliac arteries. After surgery, I had several complications and was left physically disabled for a time. On April 27, 2018, I received an invitation to the Student Life Awards ceremony after Peer Mental Health Alliance, an organization I founded, was nominated for several awards. I knew if I decided to attend I would need reasonable accommodations, yet nowhere in the email sent to me, nor the flyer attached, mentioned anything about reasonable accommodations. I didn’t know what office or whom to contact. Being a leader at Stony Brook University (SBU) gave me the privilege to speak to people in high positions, but many students don’t have this advantage, so I reached out to people I knew in Students Affairs and Students Engagement Activities to see if I could be seated near the front. I even requested a wheelchair, a request made directly to the Student Accessibility Support Center and the Dean of Students. I knew I was unable to walk long distances or stand for a long period of time, therefore I prepared myself for this journey. I called up my brother to drive me from Queens, NY to SBU. I drank my pain medication an hour before the drive, and my brother dropped me off close to the entrance of the Student Activities Center (SAC) so I would barely have to walk. Upon entering the SAC Auditorium, I spoke with one of the Dean of Students’ staff and I let them know about my condition. They told me they had a seat for me close to the stage, which was perfect. I thought all was great until I was told I would need to walk for about five minutes to receive an award I was being given. I asked if a wheelchair was provided, as requested in my accommodation email, to which I was told no one made sure I would have one. When I asked who is responsible for reasonable accommodations, I was told they didn’t know. In total, I was on my feet for about 15 minutes as both I and the other students receiving other awards were being called. I cannot explain the pain I felt, I cannot describe how badly I wanted to pass out and how close I was to doing so. In fact, during the subsequent celebration, I did end up passing out at a dinner table. I remember how embarrassing it was to have people staring at me, and I felt ill the entire night. You would think this was a one-time incident, but stories like mine are more common than you think at Stony Brook. Stony Brook’s policy on the use of campus facilities states “availability of reasonable accommodations for persons with disabilities must be clearly stated on all brochures, notices, bulletins, advertisements and invitations for seminars and other activities.” But major campus events like Brookfest, Homecoming and Roth Regatta don’t follow these guidelines. What’s more, if you look at USG, Students Affairs and Students Engagement’s webpages and social media accounts, you will find little to no mention at all of the reasonable accommodations for students with disabilities. Section 504 of the Rehabilitation Act of 1973 requires that federally funded agencies “provide individuals with disabilities an equal opportunity to participate in their programs and benefit from their services, including the provision of information to employees and members of the public.” Title II of the American with Disabilities Act (ADA) prohibits discrimination due to disability in state and local government-funded programs. This means schools like SBU need to provide equal access to these events and activities. reasonable accommodations are not perks or special treatments, nor an act of kindness. They are part of our civil rights. 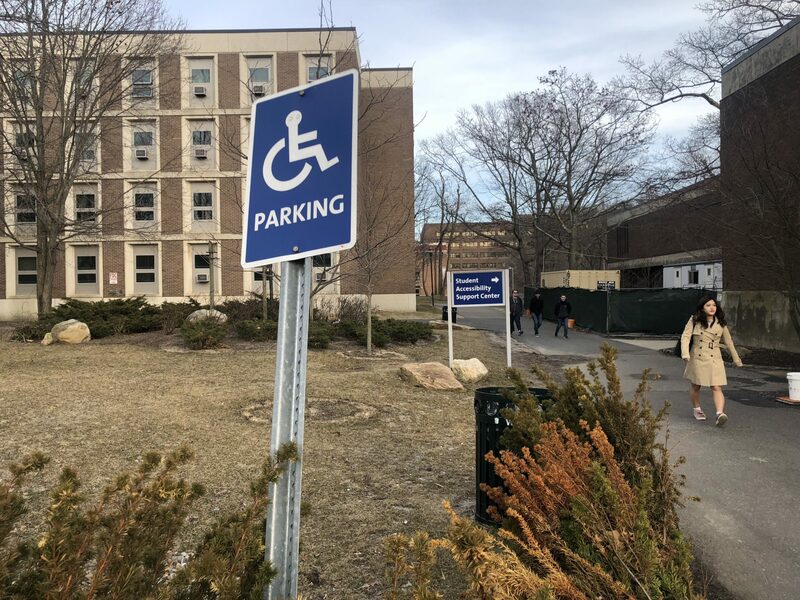 Every major event should have proper notice of reasonable accommodations , as per SBU’s own policy, and students should be able to talk to someone to see if those reasonable accommodations can be met. Sometimes arrangements cannot be met if it’s not within the financial means of the school, which is in accordance with the law, but how can the school know that these reasonable accommodations will cause them any type of hardship if they are not inviting students with disabilities to reach out to begin with?